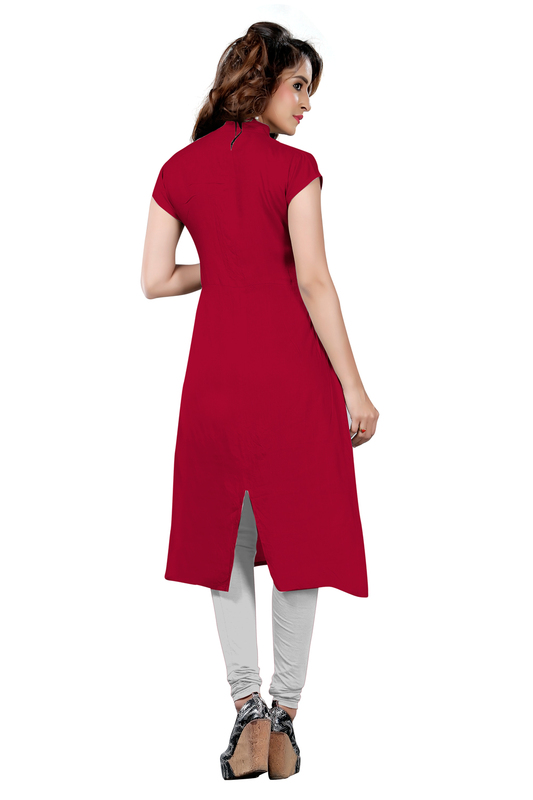 This rayon fabric kurti in maroon color has got decorative button, high neck, knot, pleats and short sleeves as shown. 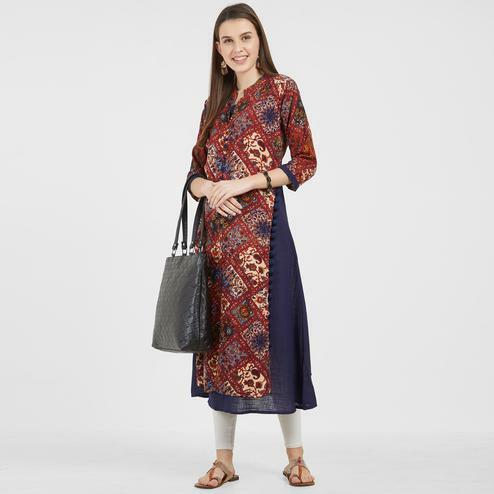 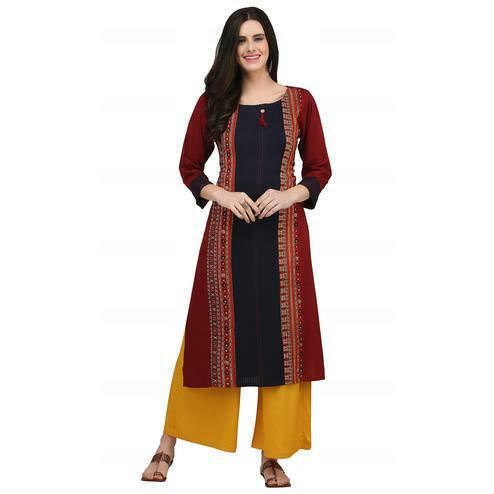 This ready to wear kurti is perfect to opt for casual outing as it's comfortable and durable. 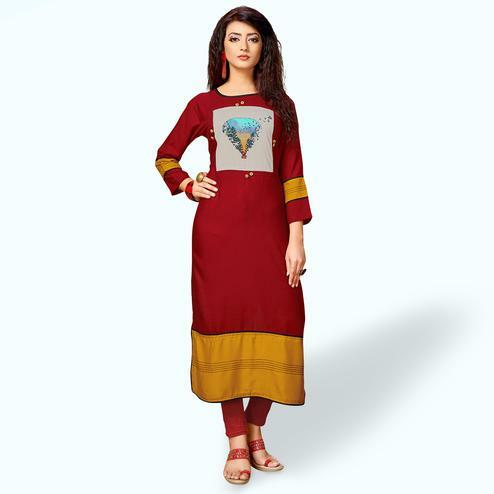 Team this kurti with matching color perfect bottom for a complete look.